If you’ve been on many of my sites anytime in the past few months you couldn’t help but notice that they don’t look quite right and a lot of the content is inaccessible. For some unknown reason a hacker deleted all of my files. I’m slowly putting things back together now. The photo journals should be back up by the end of the day. I’ll work on getting all of the other content photos back up as I have time. I did figure out, I think, how to properly back up the website so this doesn’t take so long if it ever happens again, but it’s making me question how much time I put into the site. Mostly those thoughts are that I should probably figure out a way to put even more time into getting content up here. We’ll see what happens. If you find particular parts of the site you’d like rebuilt first, let me know and I’ll take those votes into consideration as I allocate my limited time. In the meantime, thanks for your patience. If you’ve been here before you know the site just changed radically. This has been coming for a while. In the short term I’ve taken down a lot of the articles and links and I’m sure there are more links broken than I know about. I’m working on getting all of the previous content back up in a more searchable form. If you find broken links within the site please let me know. I’ll try to make updates on the progress in this post, and I’ll take this post down when I’m finished (which probably means never). Thanks for your patience with the update. If there’s something specific you’re looking for email me and I’ll try to prioritize it. I get questions from readers every once in a while and I keep a long file of ones that I think would be good to write about. Unfortunately I mostly don’t get around to answering, but I thought I’d take a stab at this one (from two years ago, yikes). I appreciate hearing that folks are actually reading what I have to say and that they’re getting something out of it, and it’s always amazing to me that the internet means my opinions are available in pretty much any corner of the globe. My quick reply to Esther at the time was that I don’t think there’s actually a straightforward answer to how to make decisions on the farm in difficult times and perhaps because it’s so complicated folks don’t write about it much. I’ll think out loud here a bit and maybe some part of my thoughts will help one of you out there reading this. I’m a planner, I plan out my farm seasons week by week a full year in advance. Notice that I write “week by week” and not “day by day”, or “hour by hour.” It’s good to have a plan, for me it’s indispensable, but I come into the season realizing that the plan doesn’t include every detail, and that it has to be flexible. On the farm my weeks have usual flows, meaning harvests happen on certain days at certain times, creating weekly to do lists and records usually happen on certain days, plantings and cultivations have typical times that they happen. Following the plan made at the beginning of the year everything is further prioritized on the actual week it’s planned for and is continuously reprioritized as more information comes in on actual field conditions – if only in my head. There’s a lot of strategizing and observation constantly happening as I’m working. Market times, whether that’s CSA pick up, a Farmers Market, or a restaurant order delivery, are usually pretty set and don’t have much flexibility, but even those can change when things get extreme if needed and that’s good to keep in mind. Harvest sets up successful markets so that tends to be the next priority for me. Good cultivation, irrigation and field maintenance sets up good harvests so that is usually my next priority. Planting usually comes after all of those and if I miss a planting it’s a problem so I try not to do it. I work hard to set myself up so that everything else gets done so I can plant. In terms of prioritizing, I’m usually focused on the crops that will take the least amount of labor and expense going forward to get to market. To belabor the point, I’m not thinking about the sunk cost here, the amount of time and expense that already went into a crop, I’m thinking about the amount of expense remaining and potential returns when prioritizing. Within plantings I almost always prioritize plantings of crops that have successions to keep the succession of harvest as even as possible. For one time planted crops I’m more likely to put off plantings if other things need attention and assuming the weather looks cooperative and any seedlings look like they’ll survive. To go back to that point about sunk costs one more time, always move forward, you can use the past to inform your decisions, but you can’t go back and change the past. In decision making about a current crop, the future expenses and potential returns are all that matters, not what it has taken you to get to whatever point you’re at. Look at costs and returns in a wholistic way, take into account how much extra weeding will be involved with saving a crop and if the potential harvest will pay for it; if you’re four weeks late planting beans, will you have the labor available four weeks after you originally planned on harvesting them; if you need to work up a field that just won’t dry out what will that do to the soil texture for the next year, or five? When things go wrong, like it rains for a week straight, or two, it means something that needs to happen isn’t going to, or at least it’s not going to happen at an ideal time or in ideal conditions. Part of the calculus is thinking about the consequences of not doing each one tasks involved and how those consequences will propagate out over the rest of the season, and even in future seasons. In the simplest terms, it’s then just a matter of giving up on whatever task is going to cause the least impact into the future. The only way I can think to make a general statement on how those decisions get made in a timely manner is to say “with experience.” Experience helps in multiple ways and there is no substitute. The more experience you have as a farmer the more likely it is that you’ve seen some variation of this same problem in the past and so you have at least one experience of how it plays out. The more experience you have the more practice you have prioritizing and the less time it takes to prioritize effectively. One way to practice more, and build up a certain kind of “experience” more quickly than just waiting for season after season to pass is to study farming: read farming journals and books, visit farms, talk to other farmers, go to conferences and hear what other folks are doing, and especially what has worked in the past, under what conditions and why. Another way is to plan, and while you’re planning keep in mind contingencies. Every good plan is made with realistic conditions in mind. If you’re planning on planting into a field the second week of April, how likely is it that that field will actually be ready the second week of April and that the weather will cooperate? What are the consequences if it’s not ready, what are the alternatives. These are all things you can think about in advance and winter, for most of us, is a perfect time to spend time thinking about these things – practicing farming, practicing decision making and prioritizing, stocking up on options and contingencies before we actually need them. If the plan is “perfect” it has enough built in contingencies that all of the decision about what to do are already addressed. No plan is perfect. Plans that acknowledge the limits of planning are much better than ones that don’t though – that’s why in the winter I only plan out plantings by the week, not by the day. I know I’m not really going to know what day is going to be the best to plant six months in advance, but I can get the week right most of the time, and then decide on the actual day when the time comes closer. To continue using planting as an example, I also know the steps for setting up a successful planting and so I’m proactive in watching the weather, watching the soil, moisture, and flora to make small adjustments as the time for planting gets closer. I’m willing to compromise on being “perfect” and accept what I think is merely acceptable when that’s the best I can do. For me, planning and strategizing is happening continuously on different levels. It’s paired with, and informed by careful observation of and record keeping on what actually happens, and that includes not just the pieces I have some control over, like when a seed is seeded in the greenhouse, but also the natural surroundings that I have no control over and their patterns and lack of patterns over time. In January I somehow came across a Facebook post from Steve House, a well known Alpinist and Patagonia climbing ambassador. I have to admit I was nervous about mentoring young, technically capable climbers and alpinists when I started in 2012. What could I teach them if they already know how to swing an axe, cross a glacier, and rig a rappel? I learned that experience in the mountains is a way of seeing. A way of knowing. And gaining that experience is painstakingly slow UNLESS someone shares their intuition, their judgement with you. A seasoned climber looks at a route, and sees solutions, options, obstacles, present dangers and so much more. The novice looks at the same mountain and sees the route itself, but maybe little more. Perfect, and it came at a time when I was questioning my value as a consultant and a mentor. January and February brought back to back to back events putting me on both sides of this equation. One of my long time mentors has been Michael Ableman, and in January he invited me to participate as one of the younger farmers in the second version of a meeting of Agrarian Elders. The initial event in 2014 was a discussion between elders of the organic farming movement, farmers who have been pushing the movement forward for forty or more years. At the second version roughly half the elders returned, bringing a younger farmer each, and I was fortunate enough to be one of those who had the opportunity to literally sit at the feet of the elders and listen for a week. The following week I returned to Portland and was invited to talk to an introductory design class at Portland State University that a friend of mine was teaching. She promptly introduced me as one of her mentors and a leader in the local farming community, something I wasn’t expecting at all, but made sense in the context as I was at least 20 years older than everyone in that class, and a few years older than my friend, who I’ve known for more than a decade now. It was a surreal reversal. The next week I headed down to Breitenbush Hot Springs for an annual retreat with farmer friends from around the Northwest. Spring training camp for farmers as Robelee Evans, farmer, baseball fanatic, and one of the organizers and instigators behind the event described it. I’ve been a part of that group for 13 years, one year shy of the start. Partially because I was one of the youngest farmers when I started coming, and I didn’t start coming until the second year, I’ve always kind of though of myself as one of the younger, newer farmers in the bunch. This year I had the strong realization that my role there is changing, and I’m now a bit more solidly in the middle, with many farmers I look up to still there, but also many farmers who are relative novices. I’m starting to embrace my status as a more seasoned farmer, but I still have many mentors with many more seasons under their belts and I listen intently to their intuitions and judgements and I try to understand them in the context of what I’m seeing and experiencing myself on the farm, and in my life. I’ll try to make time to post a little more regularly this year, perhaps monthly, perhaps a bit more. I’m also working on setting up sites to offer a little more insight into the gatherings at Esalen and Breitenbush. The topics discussed there and resources shared are important and I think we all want to make them more accessible to the larger public. Monday night was the Culinary Breeding Network‘s 2nd Annual Variety Showcase in Portland, Oregon. The event brings together seed breeders working on varieties for organic production, farmers, and chefs to highlight the work that they are all doing to promote new and special vegetable varieties. Lane Selman, the organizer and force behind the Culinary Breeding Network, does an incredible job of bringing seed breeders from all over the country, and pairing them with chefs who can prepare their vegetables into tastings that give a sense of their potential. The format for the event is pretty simple: seed breeders and/or farmers are paired up with chefs well in advance and the chefs work with the vegetables to prepare a tasting. On the night of the event tables are set up around the perimeter of the very lovely cafeteria at Chris King Components (a high end bicycle parts manufacturer in Portland that has a love of good food). The tables are set with displays of the vegetables, dishes with raw samples, and the samples that the chefs have prepared. The room filled with journalists, chefs, farmers, and seed breeders and then Lane made some opening remarks giving the context and making short introductions to the participating breeders. After that it was just a big crowd of about 200, sampling the goods and talking with the chefs, breeders and farmers, and each other about what they were tasting. Lane also put together excellent print materials to help guide people through the event and the tastings. As a farmer, I’ve been working with Lane on vegetable projects for about ten years now and she’s always included tastings in the work that she’s involved with, not forgetting the importance of flavor when we’re choosing varieties. We’ve worked together, and with lots of other farmers over the years on countless crops, mostly trailing varieties under organic production methods to look at their potential for yields, disease resistance, storage, cold tolerance, etc., but always also looking at flavor. In all of these trials we’ve looked at commercially available varieties, but from the very beginning we’ve also been trailing new plant material from seed breeders along side the commercially available seeds. About seven years ago she started inviting chefs to be a part of the conversation and the synergy is incredible. Now, at the Variety Showcase, we have all three groups in the same room at the same time. As a farmer I’m able to talk to the breeders about what characteristics I’m looking for, and to the chefs about what they’re looking for. They are also giving me ideas about new crops, new techniques, new marketing avenues, and I get to see, touch, smell and taste the products right there. I had a great time catching up with friends from the food world and getting inspired by new crops and incredible preparations of old crops that give me new ideas. I was tabling with Andrew Mace from Le Pigeon and Shaina Bronstein from Vitalis Organic Seeds. With Our Table Cooperative I’ve been growing fennel trials so we had 6 to sample at the table, and Andrew had made a take on chips and dip with the fennel that was delicious. I didn’t have a chance to make it around to all of the other tables; every time I’d go out to try to see what was out there I’d run into someone I wanted to talk to and then spend all of my time on just one or two items, but I did get to see most of it, and I talked to a lot of people about fennel and what I’ve noticed growing a dozen different varieties side by side this year. In the mix of crops being highlighted were carrot breeding lines, sweet corns, or perhaps more accurately vegetal corns which are sweet but also have amazing corn flavor and are for fresh harvest, really exciting work on American groundnut (Apios), winter squash, many different peppers and beans, winter melon, barley, wheat, shiso, parsley, and probably a hand full of others I either missed or didn’t get a chance to see. This event in some ways is showing food at an exclusive craft level, but in typical Oregon style, it is anything but elitist. The emphasis is on featuring the vegetables, the importance of moving our food system forward, towards Organic techniques, and celebrating the breeders who are making this possible while raising everyone’s level of understanding and creating positive connections. Chef Tim Wastel making samples of a charred “gypsy queen” pepper cured Oregon albacore with “Szentesi” cherry type pepper emulsion. This was incredibly delicious, and was only one of the dozens of amazing tastes that featured the vegetable breeding work that’s being done. Tanya Murray, Organic Education Specialist at Oregon Tilth, has created a great program with small vegetable farms around Oregon to help them to start looking at the costs of production for crops they are growing. This project is a collaboration between Oregon Tilth and the OSU Small Farms Program which is working towards long term viability of small farms. I’m participating, collecting numbers from Our Table Cooperative to help us better understand our labor needs, expenses and to look for places where we can improve our systems to lower our costs. As a participant I’m sharing those numbers with the other farms in the program, but more importantly we’re all sharing our methods for collecting the numbers effectively through a listserv for the participants. Tanya is coaching us through the process and every three weeks we switch to a new area of the farm to focus on, kicked off by a webinar where Tanya presents the numbers that need to be collected and formats for collecting the information. A few weeks ago we came to the end of the three week section on greenhouses and producing seedlings. I have some initial numbers that I’m still inputing, but I also built on the Excel workbook that Tanya created for an afternoon workshop on the same topic that she and Ellen Polishuk presented at the Oregon Small Farms Conference in March. Here’s a link to an Excel version of that workbook. This workbook is a work in progress and I’ve populated it with some example numbers. They’re not super accurate, but they’re in the ball park and should help demonstrate how the file works. This is a workbook I set up for myself so it’s not completely “plug and play”, there’s some need for anyone using the workbook to understand Excel and it’s helpful if you understand how to write basic Excel formulas (addition, multiplication and that sort of thing). Here are some of the features of the workbook to get you started. There are three sheets in the book: Overhead Costs, Filled Tray Costs and Crop Costs. Overhead costs lists out the basic costs of the greenhouse structure, furniture and utilities. These are costs not really tied to any one crop, and that don’t change directly in relation to the number of trays that are in the greenhouse. At the top of that sheet there is a number titled “est. total tray weeks.” That number comes from adding up the number of trays that are in the greenhouse every week. For example, if there are 10 trays on the first week of April and 20 trays on the second week that’s a total of 30 tray weeks, regardless of whether some of the trays are the same tray or not. I use this number to divide the “overhead” costs and get a cost per tray week. This makes trays that are in the greenhouse for longer significantly more expensive as overhead ends up being the biggest expense for me in producing seedlings. You could decide to allocate the overhead differently if you had a different way you thought was more fair, and if you do have a way I’d be interested in hearing about it. I got my total tray weeks estimate from the crop planning that I do, which is explained here. It makes it relatively easy to write a simple formula to add up all of the tray weeks planned for in a year. One thing you should recognize here is that once you have invested in a greehouse, the more you can maximize its use the lower the cost per plant. We’re far from maxed out on using our greenhouse space and we could probably cut the overhead cost in half if we had a way to double the number of trays we produced in a year. We’d also have to have a way to use, or sell those extra trays, but it would bring the cost per plant down significantly for some of the starts. You’ll notice through the sheets that no cells are locked so you can put whatever you like into any of the cells. Some of the cells have a background gray color; those are cells with formulas that are intended to be kept for standard calculations. The white cells are intended for inputting numbers. In some of those white cells you’ll notice formulas, but these are simple calculations when I have the number in one set of units and I need to convert. The second sheet is “Filled Tray Costs.” This sheet looks at the cost of different size plug trays that we use, and what it costs to get them ready to “seed.” I put “seed” in quotes because preparing one of these trays for seeding is the same as preparing it for potting up, but it’s all called “seeding.” There are a couple of slightly hidden things I think I should point out about this sheet. One is that the labor rate that this sheet uses is actually on the next sheet, “Crop Costs.” Another is that there’s a relatively fancy “if statement” in the “Crop Costs” sheet that references the cell tray sizes I use. If you change any of these cell tray sizes (which is a likely thing if you use different size cell trays from me) you’ll need to update this “if statement” if you want the “Crop Costs” sheet to work for the new cell tray sizes. The last sheet is the “Crop Costs” sheet and this is where you get the exciting final numbers. I’ve put the final calculations in three forms: per plant used, per tray, per bed. The per plant used takes into account that not all of the cells of a plug tray will germinate, and not all of the cells that germinate will be planted out. This number makes it easy for us to calculate reasonable sales prices for selling starts to home gardeners and also makes an interesting quick way of looking at the price of something like a head of lettuce where we’re selling the final product one plant at a time. The per tray costs is just what it says and I have that there because we may sell trays in the future, but also because it’s interesting to know if we were to seed an extra tray how much that costs us. The per bed cost is intended to be used for a future sheet which calculates out the total cost of producing specific crops. To get to those final costs there are a bunch of intermediate numbers that are inserted to the right of those numbers and some calculations made. There are three numbers at the top of the sheet as well. At the top is the “loaded labor rate” which is the average cost per hour to the farm of an employee; the “minutes hand watering/tray/wk” which is zero in this case as I’m estimating these costs entirely on automatic watering; and “minutes/move” which is the time it takes to move a tray from one bench to another. For some crops we move the trays multiple times, adjusting their heat zone; others stay in one place until they are planted out. One of the fascinating things about this sheet is looking at the relative expense of the different parts of the process of producing a seedling. The overhead is a big expense on the lettuce, but on the tomatoes it’s small and the seed is the big expense. Labor on seeding is relatively low, even though we’re doing it by hand. You’ll also notice that for the tomatoes, which are potted up, I split the cost into two parts: seeding the seeds and “seeding” the transplants, which you could also call potting up. For the second, I use the price of producing the seedlings in the place of the “seed” cost. I’ll try to keep posting notes on the process of running enterprise budgets on the farm through the season. I’m very happy to see more folks doing this and sharing results. Some of the Universities, UC Davis in particular, have had enterprise budgets on their websites for a while now, but they’re usually formatted for larger production of single crops. Richard Wiswall has excellent examples of crop enterprise budgets on a diverse vegetable farm in the back of his “Organic Farmer’s Business Handbook.” I haven’t used it but Ellen Polishuk was touting the Veggie Compass tool which is available at http://www.veggiecompass.com and is more of a plug and play tool. 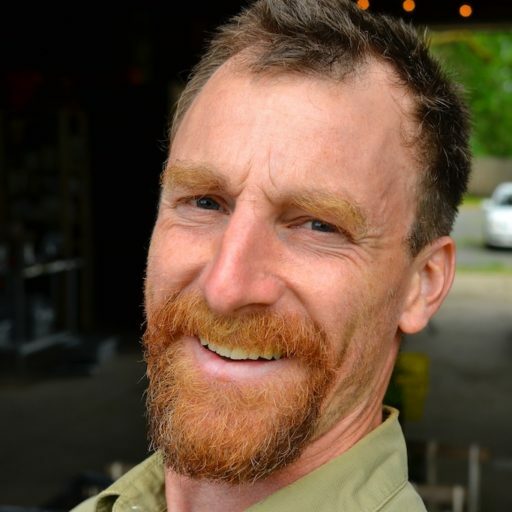 Chris Blanchard has great interviews with both Richard and Ellen on his new Farmer to Farmer podcast, which is definitely worth checking out. Since getting back from Italy I’ve been trying to find time to go through my journal, notes and photos and to get some stories and articles written up. So far I haven’t been very successful in finding much time, but I have been constantly thinking about the events and many of the stories have been starting to form as I tell abbreviated versions to friends who ask how the trip was. Yesterday I sat down at my computer, finally got around to downloading the photos from my phone (in addition to the several thousand I took with a DSLR), and I made a little list of topics I’d like to flesh out in future blog posts, talks and articles. I’ll post that list here in hopes that it spurs me to action. This is something I should have done after the first round, although I think I did a pretty good job of remembering a lot of this when I went this time. My experience was definitely different this time, largely because it was the second time I’d been, but also just because the event itself has changed over time. I definitely would make changes in my approach next time though so I need to get these down for myself, and maybe they would act as useful suggestions for other folks headed to the event. Kathryn Lynch Underwood speaking in a workshop on urban agriculture. I had a lot of conversations with delegates from all over the world but there were two that stood out for me, telling stories I think are important within the context of Slow Food and how it is integral to what we sometimes think of as larger issues of socio-economic status, cultural diversity, and equity. A lot of this will probably come out in other stories, but it might deserve a post of its own. The event has grown in many senses since the first time I attended. Mostly I think that was for the good, some of it was just different, but there were also a few things that I missed from the first time I attended. View from inside the US booth at Terra Madre during the speakeasy. Much socializing between delegates from all over the US, and passersby from all over the world. This was a great way to meet other delegates and I have a few little vignettes that might make a larger story. My longer conversation with Jim Embry started here, but before that even happened there were a number of little scenes that unfolded and added a lot to the Terra Madre experience that was unexpected. As it was in 2006, the bus yielded some of the best conversations and connections of the entire event. The canteen had similar potential, and I really forced myself to be more outgoing than usual, which generally created many more wonderful small interactions with delegates from all over the world, many of which held valuable little tidbits, not to mention crazy coincidences. Annie Hehner was one of the many delegates I met riding the bus to and from the event. In the six days I was there I rode the bus 10 times, spending at least 30 minutes per ride talking to delegates. Paula Gaska was someone I worked with through email a number of years ago, but never actually had the opportunity to meet in person. The story of actually meeting at Terra Madre brings up a few points about the event I would like to share. The Ark of Taste had amazing displays of all sorts of foods from all over the world, including this selection of apple varieties that have particular importance. I recently agreed to sit on the Ark selection committee for our region, but without a good understanding of what the Ark actually is. Terra Madre and the Salone provided a great opportunity to get more familiar with the worldwide Ark, as well as the Presidia, and to think about how it applies in our area. A wonderful display of beans from Lucca. I came across this display just after watching a short film in a workshop on seeds about bringing back the Scritto variety pictured here after it was nearly lost. I grow corn and beans together and these were two crops that were relatively easier to find at the Salone than vegetables so they became a focus of mine during the event. I was a bit surprised to find an Italian grower there that was also growing them together. Many delegates dressed in traditional costumes from their particular regions. The Sami outfits were some of my favorites and I regret not having talked to them while there. At some point I realized I was getting distracted by products as consumer good, and what I was really wanting was to focus more on products as connection to the people and producers. I’d like to expand that thought a bit. After leaving Torino we visited a Biodyamic vegetable grower near Lucca who had just gone to the Salone (and Torino) for the first time. Like me, he was disappointed in the lack of vegetables at the event and we agreed there should be a Slow Vegetables component, just as there was a strong Slow Fish and Slow Honey component. Hunchback cardoons growing at Azienda Agricola Nico near Lucca. The ones in the center have been buried for blanching, and the ones on the right are waiting to be buried. That same grower showed us the way he blanches cardoons, a method that had been described to me, but he passed on some critical details which make me want to try the process and that I should write out for others. This is a funny little story from traveling after Terra Madre. Demonstrating how to make a green radicchio look like castlefranco by peeling back leaves. Our hosts from T&T Seeds were incredibly generous with time and knowledge. We went on a great (4+ hour) tour of T&T Seeds and learned a lot about growing chicories. This definitely deserves a write up, and probably a longer article that collects information from other growers in the US that are growing chicories and experimenting with Italian methods as well as new approaches. In 2006 Gio was our chaperone at Terra Madre. On this trip I had a chance to visit her in Verona and learn more about the company she works for, Ecor/Naturasì. I knew that they were a large natural food chain, but I didn’t realize the extent of their commitment to organic and biodynamic producers. I think they may have a model that we should be looking at in the US. John Suscovitch interviewed me back in December for a new podcast he was working on. In January the podcast went live but I didn’t have a chance to actually listen to it until today while I was doing some chores around the house. It’s actually pretty good. Normally I can’t stand the sound of my own voice but I think I must have had a cold or something because my voice sounds a bit different, and John must have done some good editing because I sound fairly coherent as well. Check it out here along with his website or subscribe to the podcast on iTunes. I don’t actually come on until minute 13 so you might want to skip ahead if you don’t want the longish intro. We talk about the model I had at Slow Hand Farm (which has now moved to Our Table Cooperative), bicycle delivery including a lot on electric assist, and farm planning. I don’t mention them by name, but the bike shop I keep referring to in the interview is Splendid Cycles, which has been an incredible supporter/enabler of my bicycle delivery of the CSA shares. It looks like there might be some other interesting episodes as well. I just subscribed to the podcast so I’ll have a chance to listen to the rest of the episodes while I do more chores. This winter we made up a few hand carts for Our Table Cooperative, where I’m farming now, and also sold a few to farms in the area. During the course of a few presentations at conferences in other parts of the country I let folks know about the carts and also the tools I use with them. I’ve been meaning to write up instructions on how to build the rolling bed marker so I finally got around to doing that. You can read about that here, and you can read about other types of rolling bed markers here. Plans for a simple version of the cart are available at farmhandcarts.com. You can also order carts there, although there’s a bit of a long lead time because we need five orders to make a batch. I’m continuing to develop tools for the carts. In the works is a cultivation frame, and also a mount for flame weeders. For years I’ve been meaning to figure out a way to make my crop planning files available on line. Actually, one of the things that has been delaying me is that I didn’t really want to put them up without some instructions on how to use them. The files themselves are probably interesting to some, but the process of creating them, editing them, and using them effectively isn’t completely self evident just looking at the files themselves so I’ve been wanting to write up some tips to go along with them. Last week I was at the Future Harvest -Chesapeake Alliance for Sustainable Agriculture annual conference and one of the workshops I presented was the basics of how to use this planning system. I offered to email folks these sample files but I decided, after years of emailing individuals copies that it would be good if I just put them up in a public place for people to access. There are four files I’m making available. The first is a PDF version of the slides from my presentation. These give a very rough outline of the process. There is also a sample harvest plan, sample “master” which is basically the full planting plan, and sample maps. All three of these files are .xls files and have tons of bad data in them, don’t trust the data. They are simply a sample of the kinds of sheets that I produce for different projects and they contain examples of the kinds of formulas that I use in the planning process, examples of how I format different cells and one way to layout the information needed in a season for planting out a diverse bunch of vegetables. Feel free to download these files and let me know if you have questions. My intention is still to put up more information on this site on how to use them, and also examples of other sheets, maybe even some with good data in them. I’m currently using Apple’s Numbers more than Excel, and to be honest the sample sheets were created in NeoOffice, or maybe OpenOffice, I can’t remember which. Numbers makes things look nice and simplifies some of the sorting, but it’s less flexible and powerful than Excel, or the open source options. Lots of folks have asked me if I sell these spread sheets and the short answer is that I don’t. I would love to have folks who find these useful donate to the site and let me know what works for them and what doesn’t, what they’d like more information on. I’d also like to hear if folks make improvements they think are significant. If you’d like to have a training on how to use the sheets that’s what I sell. I can do trainings for individual farms, or for groups and typically the basics take about 3 hours to go through in a group. Keep an eye on this site for more information on the sheets. The next conference I’ll be talking about the sheets at is MOSES’s Organic U (linked to below). Donations are not tax deductible but they are a nice way to appreciate the work that has gone into creating this site. Thanks for considering donating! Price is $19.95 per copy. A $9 per order shipping and handling fee is added regardless of order quantity. No expedited or international shipping is available directly from the author so be patient or check one of the sources below for unsigned copies.